Here’s the example I promised yesterday – by the iconic Paris designer, Henri Bendel, a summer frock of exceptional fit and construction. Although this dress may be no more than 8 years old since the company stopped selling clothing in 2009, it’s quality and pedigree made it worth picking up. I also have a suit by Henri Bendel, made in the 1960’s. The design and tailoring of his garments are exquisite. Although this sundress does not look like anything special hanging here, it fits beautifully (my size!) and is very well-made. 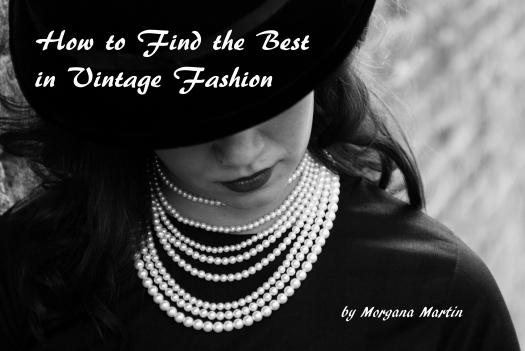 If only for the legacy of this classic Parisian designer, I was happy to find it and will wear it with pleasure . . . .
Posted on January 25, 2017 by Morgana Martin, the magicvintagespy. This entry was posted in '30's, '70's, '80's, '90's, 1990's, blogger, buy, buying, casual, classic, classic clothing, clothing, cotton, day dress, dress, elegance, elegant, empire waist, fashion, film noir, find, fitted, France, guidebook, Henri' Bendel, how to, I Love Lucy, ladies, Mad Men, magicvintagespy, photos, references, retro, shopping, store, stores, summer, sundress, Uncategorized, vintage, vintage blogger, vintage clothing, vintage expert, women's and tagged '30's, '40's, '50's, '60's, '70's, '80's, '90's, 1930's, 1940's, 1950's, 1960's, 1970's, 1980's, 1990's, ´50´s, ´60´s, ´70´s, blogger, buy, buying, casual, classic, classic clothing, clothing, cotton, day dress, designer, dress, elegance, elegant, empire waist, fashion, Fifties, film noir, find, fitted, Forties, France, frock, guidebook, Henri' Bendel, how to, I Love Lucy, ladies, ladies', Mad Men, magicvintagespy, Magicvintagespy.com, photos, references, retro, shopping, shopping tips, shopping-tips, spring, store, stores, summer, sundress, true vintage, Uncategorized, vintage, vintage blogger, vintage clothing, vintage expert, women's. Bookmark the permalink.